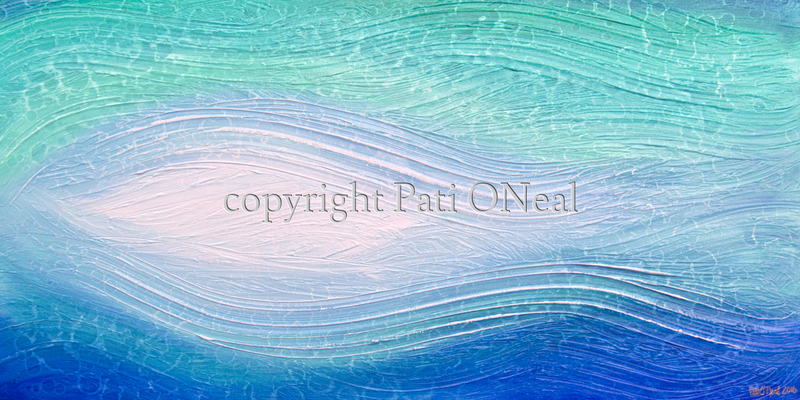 This textured acrylic painting on canvas was created with the concept of shimmering light on a tropical lagoon. The original is currently available at Island Treasures Art Gallery in Kailua, Oahu. For a similar commission, contact the artist.